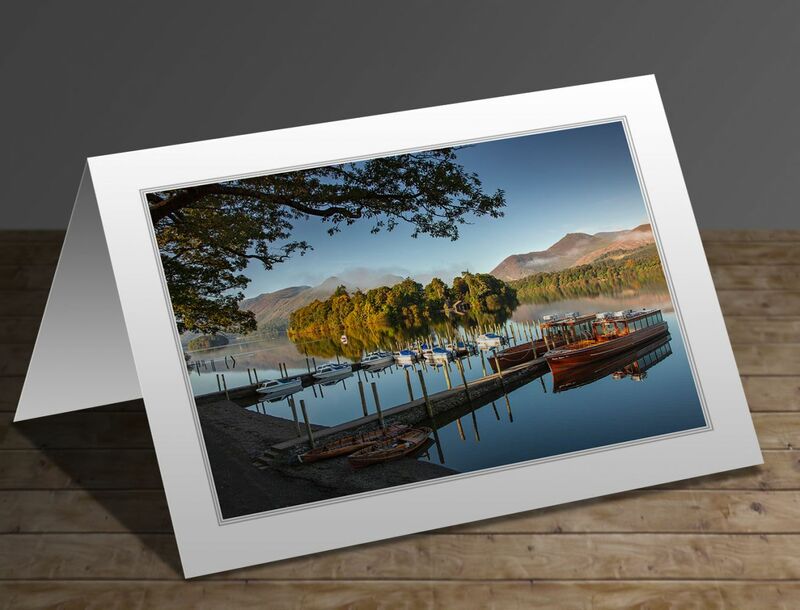 The write-up on the reverse of this Lake District greeting card will be 'Keswick boat landings is a favourite location of mine especially on a summer morning. If you can get down to Derwentwater early, there are no crowds and the lake is usually very still. The reflections can be fantastic and the back drop of Derwent Isle and the Newlands fells is really special'.